Children begin developing speech as an infant. By 6 months, babies coo and play with their voices by producing sounds such as “oo,” “uh,” “mm,” “da,” and “goo.” Children learn speech by imitating the sounds they hear. Actions such as talking about what you are doing during the day, singing songs and reading books expose your child to a variety of sounds that he or she will begin imitating. Your child will continue to coo and begin to babble, producing more consonants such as “b” and “k” with different vowel sounds. By 12 months, babbling should begin to sound like “talking” with intonations and rhythm. This is called jargon. 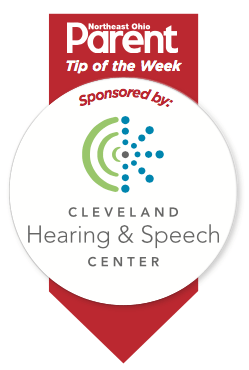 Between 12 and 18 months, your child’s speech should contain a variety of sounds including “m,” “b,” “n,” “p,” “d,” “t,” “h,” “sh,” “w,” “k,” “g” and vowels. Your child also will be producing a variety of “word shapes.” This refers to the arrangement of consonants (C) and vowels (V). Examples of these include “up” (VC), “shoe” (CV), and “hot” (CVC). As your child’s vocabulary grows, so should the ability to produce different speech sounds and combine sounds in more complex ways (for example, three-syllable words, such as “banana” and consonant clusters, such as “spoon”). Imitation of sounds and word shapes continues maturing into natural, spontaneous productions. Your child will produce a variety of age-appropriate sounds and word shapes. Single words will be combined into two- and three-word phrases, and eventually into sentences and ongoing conversation.